Drivers looking for a Mercedes-Benz around Vacaville, Napa, American Canyon, Vallejo, or Benicia know there’s just one name to remember: Mercedes-Benz of Fairfield. We price all of our new vehicles, and all of our standard pre-owned models that are three years or younger are priced below Kelley Blue Book value to give you the savings you deserve. These are just two points in our 10-point Value Guarantee, part of our commitment to your satisfaction. One of the reasons so many drivers leave our dealership happy is because we’re happy to be working here—Mercedes-Benz of Fairfield was named among the 2015 Automotive News Best Dealerships to Work For. That means our sales team members are eager to help you find the perfect new or pre-owned car, our finance team works one-on-one for the financing solution that’s just right for you, and our service center is staffed with technicians who like working on cars and are proud to see a recently tuned up Mercedes-Benz head home to its garage. As part of the Price-Simms, Inc group, drivers know that Mercedes-Benz of Fairfield has a constant focus on delivering the highest level of customer service. Whether you’re shopping for a brand new car or just getting routine maintenance, your happiness is our top priority. 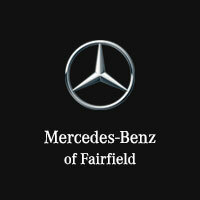 At Mercedes-Benz of Fairfield, if your service is not exceptional, it’s not acceptable. See for yourself why so many area drivers choose our dealership by stopping by to peruse our new or pre-owned models. Mercedes-Benz of Fairfield is located at 2950 Auto Mall Parkway, convenient for Vacaville, Napa, Vallejo, Benicia, and American Canyon drivers—don’t hesitate to contact us with any questions, too.